Rent Rocklands Farm Wedding | Corporate Events | Wedding Locations, Event Spaces and Party Venues. Rocklands Farm is pleased to have been chosen as the setting for Vogue's February 2014 photograph featuring Washington DC's new power couple, Sam Kass and Alex Wagner. The photograph was taken in the backyard, under the majestic elm tree where many of our weddings have taken place! only 23 miles from the White House, the center of Washington DC. and 2 acres of an organic garden. 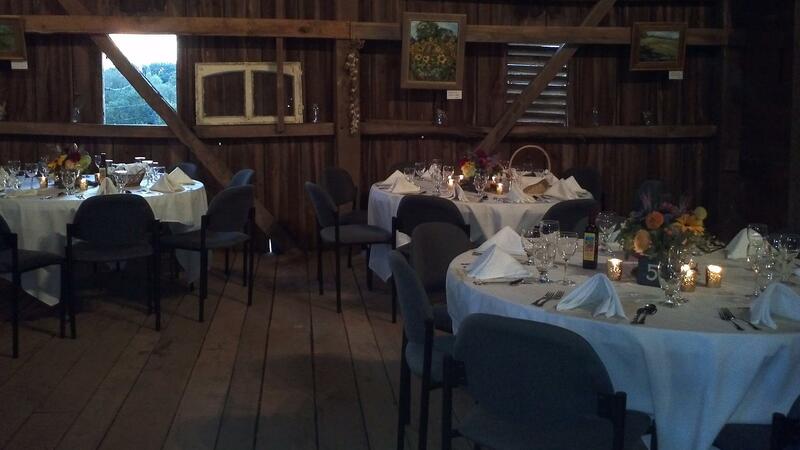 bank barn, event space, winery, and parking areas. and Montevideo Road to the West. When visiting, you will find our Market & Tasting Room in the lower level of our bank barn, only a short walk from the parking areas. and we ask that you do not enter them either. It is for your safety and respect for our hard work. so please check here for such opportunities. their privacy by obeying all posted signs. as this is a working, lived-in family farm. and especially other guests, please no pets. Sorry for any inconveniences. Our historic farm is the perfect venue for brides and grooms looking for a natural rustic charm blended with simple beauty and elegance.